TTC Land – precursor of Sacomreal is preparing to launch the new block of Charmington Iris project with the best location with 3 sides bordering to Bitexco and Thu Thiem. The new Iris Luxury Block at Charmington Iris consists of 719 luxury apartments ranging in size from 49 to 95 square meters. Each apartment in this new block has 1-2 open space, bringing a comfortable living space, cool for residents. TTC Land is offering a promotion “Buy a house – hit a beautiful house” on this occasion for customers who successfully registered to block Block Iris Luxury. 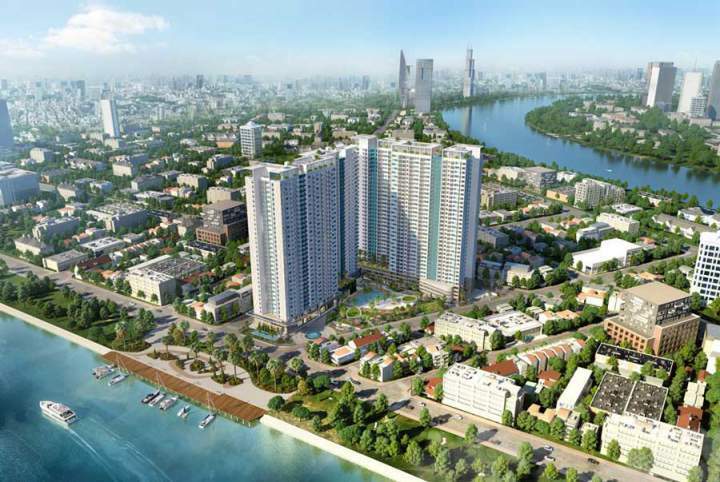 The winner of the program for the most fortunate customers is a VND2.8 billion. 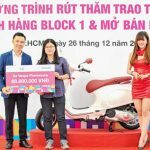 In addition, there are many prizes in the program such as a diamond worth VND120 million, a VND 65 million VND Samsung TV, 9999 gold, a travel voucher of VND4 million and a cash voucher of VND13 million. Each deposit of the project is entitled to 3% per product. Customers who choose 3 or more units will receive an additional 0.75-1.5% of the total value of the apartments. The Charmington Iris project consists of two blocks, Iris Luxury and Aqua Luxury. The 35-storey Charmington Iris project, a basement, offers 1,438 apartments and 14 flats. The Charmington Iris project has a frontage location at Ton That Thuyet Street, District 4. This is adjacent to District 1, which has formed major high-end real estate projects. Infrastructure is planned synchronously. It is because of the prime location that will bring added value to the Charmington Iris project. Thanks to the appearance of a series of high-end projects, the face of District 4 has made positive changes. Charmington Iris project is located in the planning area to focus on investment, improving traffic system such as the project of building Thu Thiem bridge 3, Thu Thiem bridge 4, expanding and upgrading Ton Dan road to help Linking the project with Thu Thiem and the eastern districts. The Charmington Iris project has a complete utility system of up to 30 utilities. Construction density at Charmington Iris is just 33% and the remaining 67% is for in-house development. 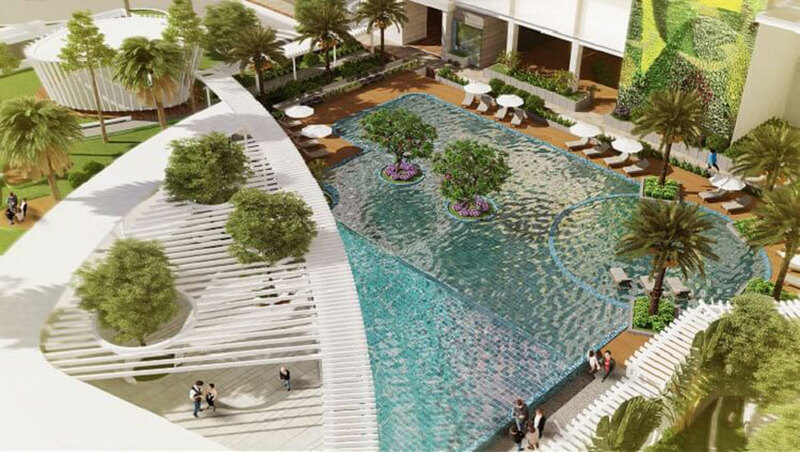 Some typical features of the Charmington Iris project include the 700m2 indoor park, the 1,300sqm park, the 540sqm pool, the fountain, the community room, the mini market , gym, hair salon, spa, basketball court … all create an ideal living space. Prestigious investors are also one of the strengths of the Charmington Iris project. Developed by TTC Land – the forerunner of Sacomreal has created the brand reputation for the Charmington Iris project. 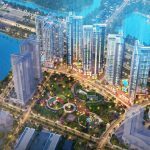 TTC Land is among the top three investors in Vietnam Report. 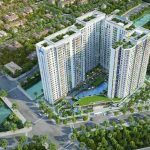 TTC Land, with 15 years of experience and 30 real estate projects throughout Vietnam, has added a mark to the real estate market thanks to the Charmington Iris luxury apartment project. With the application of the “living principle” in apartment design, the Charmington Iris project demonstrates the application of feng shui science – color. The design of the Charmington Iris attaches great importance to the open air, creating energy for the residents. The Charmington Iris apartments range from 1 to 3 bedrooms, all with four square sides and minimal overhead. Designed to maximize space and ventilation thanks to the wind. Charmington Iris also follows the high standard and modern standards of Europe. The Charmington Iris project partners include Schneider, Bosch, Cotectcons. The most distinctive features of the Charmington Iris are the intelligent elements of the Schneider solution, such as controlling the entire apartment lighting system, curtains control, door systems, security in the home. 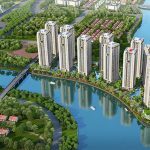 You are reading the article TTC Land’s Charmington Iris is coming soom Block Iris Luxury having the most beautiful location in the project in the Real Estate category at https://realestatevietnam.com.vn/.Any information sharing, feedback please email to info@realestatevietnam.com.vn, Hotline 0909890897 (24/7).